Carrot Cake peeps, meet your new friend, the chocolate carrot cake. Did I just say peeps (as in people)? UGH. My Tuesday brain is clearly tired and thinking about Easter, and apparently Peeps…like the candy. You know what’s weird? I really do not even like Peeps, but yet I continue to buy those neon colored bunnies and chicks every single year. You know what is even weirder? My mom loves Peeps, but only if they are stale. What?! Yeah, I think she has me beat there. I mean, clearly I buy Peeps year after year because the colors put a smile on my face and those cute bunnies make me feel like a kid inside, but stale Peeps? Now that’s just plain odd. 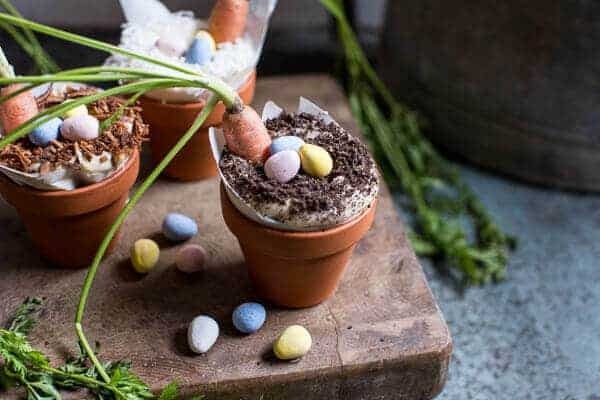 Some of you may think it is odd that I turned carrot cake, a classic non-chocolate dessert, into a chocolate lover’s dream, but then again, if you think this is odd you probably shouldn’t be reading this blog. Because if you’ve been reading for really any amount of time, than you already know that I can turn almost anything non-chocolatey into chocolate heaven. I guess I am magic like that. WOW. Tuesday. It’s really just got my brain going in a million different directions here. FOCUS. These cupcakes, weird or not, are delicious. To be honest, you really don’t know there is carrot in them. The chocolate does a pretty good job of covering up any carrot business. But hey, it’s sure good to know these cupcakes are just a little bit better for us than most, right. Makes eating two or three or… well you know, that much less guilt inducing. I’ll take that any day. And hello, these cupcakes are stuffed with a generous amount of Nutella. What’s not to love about that? You bite in and get the most sinfully awesome surprise. Asher declared these her new favorite cupcake, but this is coming from the girl who has a chocolate sandwich (AKA Nutella sandwich) every single day after school. Promise, she’s not biased or anything. Plus, that malted cream cheese frosting? It’s stick your finger in, lick it clean and repeat a million times GOOD! I had never used malt powder before and now I am kicking myself because it’s such a good flavor. Reminds me of an old-time milkshake served at the best retro diner. Which to me, is kind of fun. 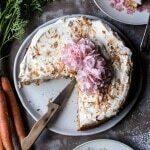 Plus, cream cheese and carrot cake are one of those combos that simply need to always go together. They just work, and the malt flavor only adds to the goodness. OK, since I feel like my words may be more annoying than helpful today, and since I just can’t seem to write a sentence without deleting the whole thing a second later, I am gonna call it a day. 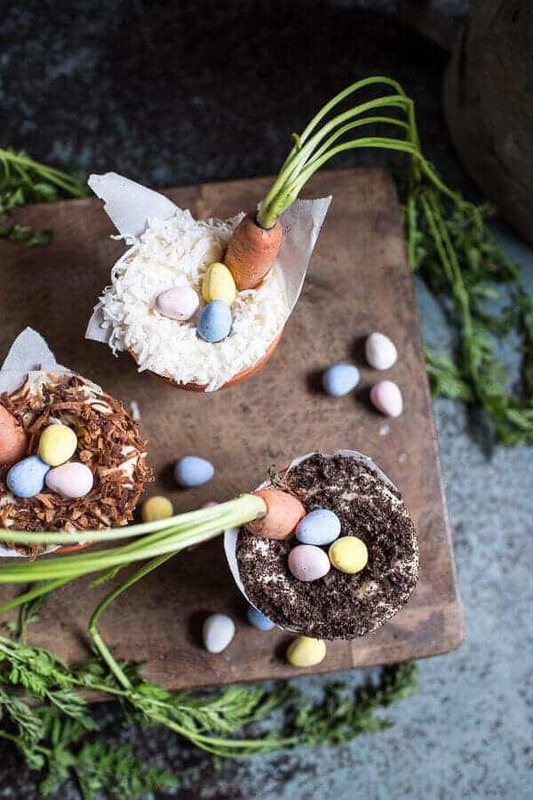 But I just have to make it clear that if you thought you liked carrot cake before, think again (especially if you are a chocolate lover), because these Nutella carrot cake cups, they are about to change your whole view of carrot cake. <–It’s the truth. Preheat oven to 350 degrees F. Line 2 standard muffin tins with 16-18 paper liners OR line 10-12 small clay pots with parchment paper. In a medium size bowl combine the flour, unsweetened cocoa powder, brown sugar, baking soda, cinnamon, salt and coffee. Set aside. In the bowl of a stand mixer (or use a hand held mixer) beat together the eggs, buttermilk, coconut oil and vanilla until smooth. Slowly add the dry ingredients to the wet ingredients with the mixer on low until there are no longer any clumps of flour. Fold in the shredded carrots and chocolate chips. Divide the batter evenly among the prepared pans, filling each three-quarters full. Bake 20 minutes (closer to 25 minutes for the pots) or until a toothpick inserted into the center comes out clean, do not over bake. Transfer cupcakes to a wire rack to cool completely. Using an electric mixer, beat the cream cheese until smooth and creamy. Slowly beat in the powdered sugar, vanilla and malt powder until smooth. Use a small paring knife to cut a cone-shaped piece from the center of each cooled cupcake. Fill the hole with nutella, then replace the top portion of the cone (you'll need to slice off the tip). Transfer the Frosting to a pastry bag fitted with a round tip. Pipe frosting into a swirl on each cupcake (you can also just spread the frosting on with a knife). Sprinkle with toasted coconut or crushed Oreo's. 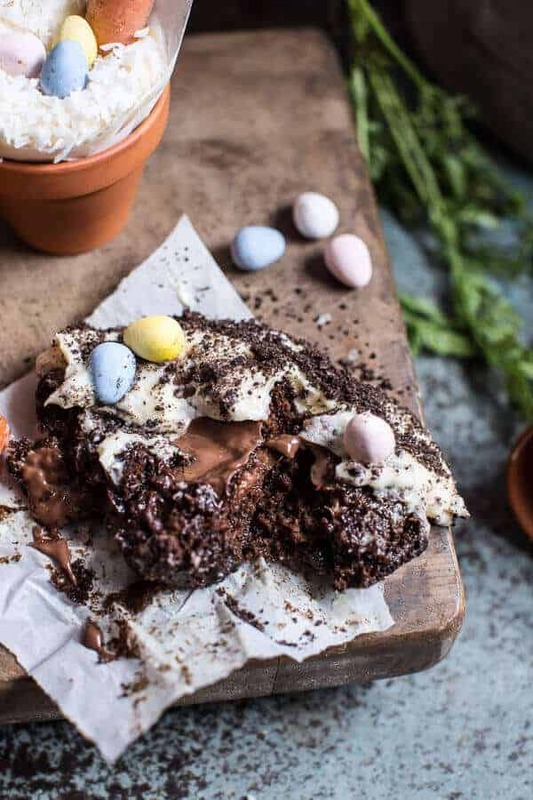 Top with three milk chocolate Easter Eggs. Store any leftovers in an airtight container in the fridge. *To quickly bring eggs to room temperature place them in a bowl and fill with warm water. Let them sit for five minutes. But clearly, you can see that, right? It took me a very long time to choose which image to pin because they are all so inviting and wonderful. 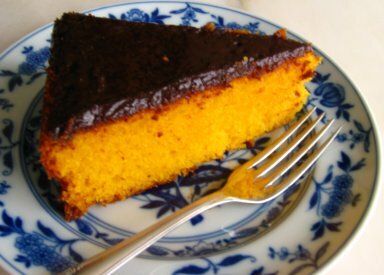 You have convinced me of the worth of chocolate carrot cake but my super traditional mum may take more time. There is only one way to really convince her though…..
HAha! THANK YOU! Hope you are having a great week! I was thinking, would love to just sit in your kitchen and enjoy all the great smells or be a taste tester! Love these T. And the styling of these images is just gorgeous! So creative and fun. Wow! I love carrot cake and making it chocolatey and filling the cupcakes with Nutella? I’m in! 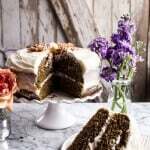 Loving the idea of malted cream cheese frosting! YUM. 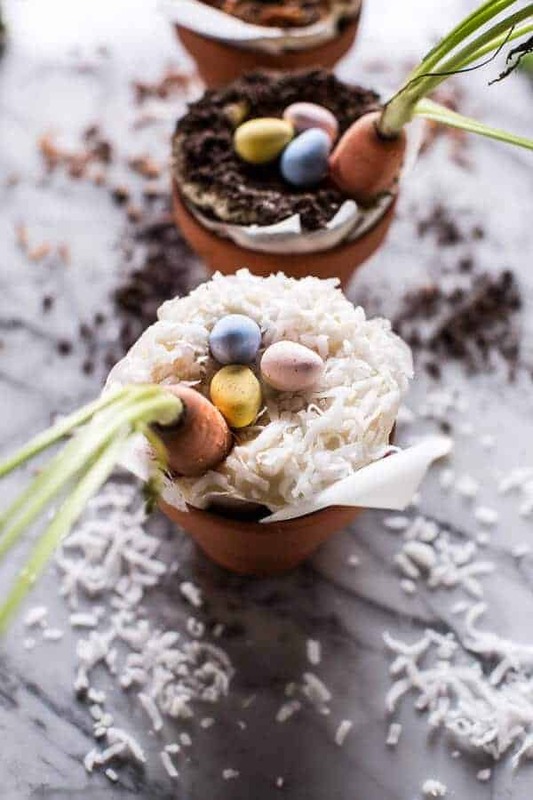 These cupcakes are so stinking cute nestled into those pots…they would look great on an Easter table and I’m sure they would taste delicious. OH MY WORD! These look insane – in a very good way! Can’t wait to make these Tieghan!! Oh my gosh- these are TOO CUTE! Seriously- I can’t handle it right now. They’re adorable-and delicious-looking! Is this malt powder or malted milk powder? help! Malted milk powder, sorry! Hope you love these! These are so adorable, and then so delicious too! I would be torn between keeping them to look at and devouring every single one. My grandmother used to like stale peeps too. She would buy a whole bunch every Easter and then keep them for several months before enjoying her treat. Tieghan, this recipe is out of control!!! Sooo adorable. Also, <3 that gif! Awe! Thank you so much, Michelle! Love the way you presented these cupcakes, my girls would just love these for Easter! These are the cutest! 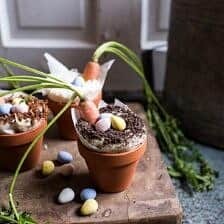 Love that you made these in little pots! Perfect for Easter! As usual, these photos are beyond gorgeous. I am in awe of your creativity! These are crazy-creative. I’d never think to put these ingredients together!! Hence, why I pop onto your website for every post. Just love this. Your pictures are just to die for T! Congratulations on the new barn and your creative mind. 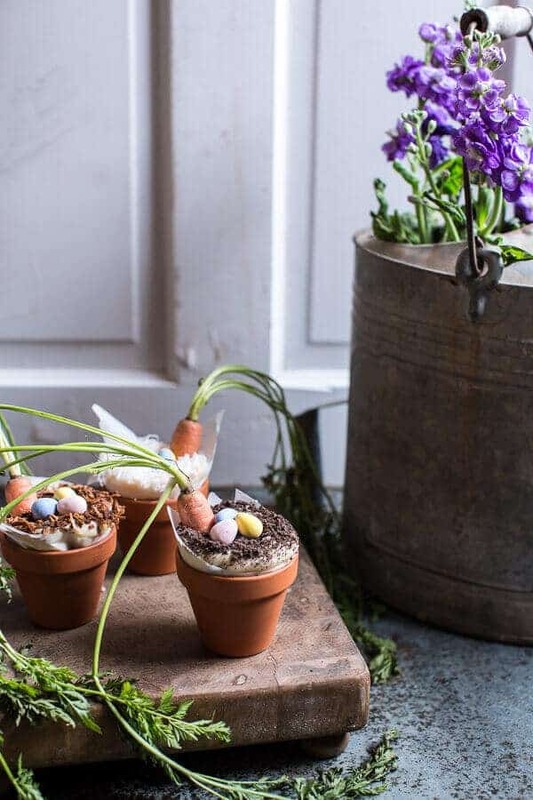 These are perfect for the upcoming Easter holiday. Hopefully it warms up for you soon! These are so so cute!! And I love malted anything! Doesn’t it just make chocolate 10x better than it already is? I especially love mixing malt powder into brownies and I’m sure I would love it in cream cheese frosting. So creative! 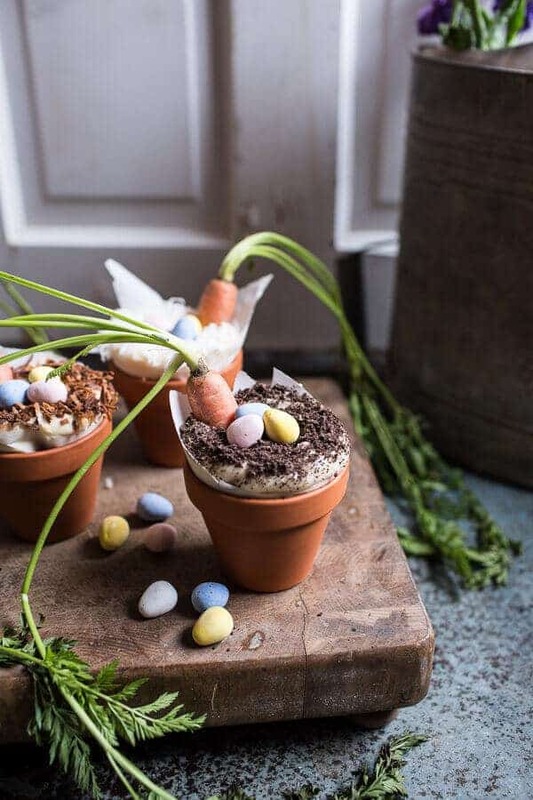 Aw I love these little flower pots, especially with the carrot in there! I’m not a huge fan of carrot cake but that’s probably because I’ve never had a chocolaty version like this! 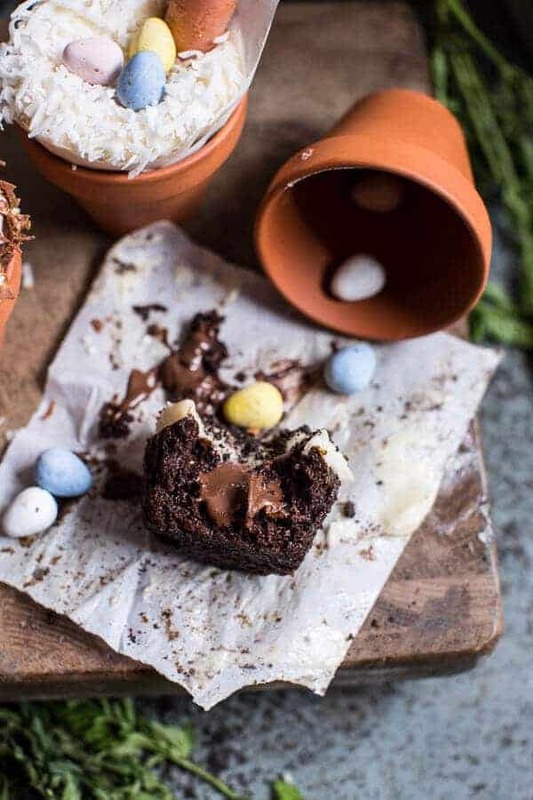 These cups are perfection, an absolute must for Easter! 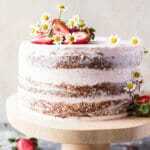 Love the Nutella and malted frosting! I can’t find malt anywhere. Do you have any recommendations on substitutions? Thanks! Hey Brenna, I would just leave it out. It’s not a huge deal at all. You can also by malt on Amazon. Hope you love the cupcakes! Love the recipe! Is the instant coffee necessary? Or is there anything I could substitute? Thanks! Love how you presented these – so cute! And I’m all for turning anything and everything into a chocolate version! My mom and I made these for easter, ceramic pots included. They were a huge hit!! Everyone said it was the most delicious “dirt” they’ve ever had. Not surprised every recipe I’ve made of yours has been a success. YES!! That is so awesome! So excited you all loved them, thank you!! hi, i only have dutch cocoa , but reaaaaaallly desperately want to make these,, how can i use it ,,maybe add one tsp baking powder u think? HI! Yes, I think dutch cocoa will be fine. You do not need to add anything. 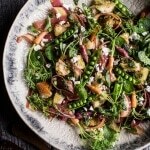 I’m making this right now for Holy Saturday brunch. Wish me luck! I’m not much of a baker, but here I go!!! I hope it went well! Thanks Charlie! Hi! You didn’t mention (unless I missed it) how you put the carrots in (I mean the carrots with leaves). Did you cut them down? HI Charlie! You stir the shredded carrots into the cupcake bater at the end of mixingin step 3. Let me know if you have questions. Hope you love these!